Students are charged for flight lessons based on ‘engine time’ (from engine start to engine stop). The current rate for a 1 hour lesson on a school aircraft is £120 for flexwing aircraft and £135 for fixed wing aircraft. Microlight aircraft operate from airports, airfields, farm strips, private fields, etc so cost of hangarage varies depending on the location and facilities. 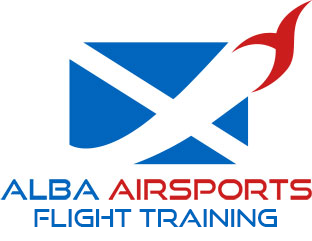 Monthly hangarage rates for a fully rigged flexwing microlight aircraft average £100/month at Perth Airfield where Alba Airsports is based. For those in syndicate ownership, the costs are shared by agreement amongst the aircraft owners keeping the cost of ownership lower still.